I used to go straight for hotels on my trips, but it turns out there’s a whole other world of alternative accommodation options out there. Now, I find hotels in general to be overpriced. When I say “alternative accommodation options”, I don’t mean hostels either. Yes, hostels are cheap, but I’m not a fan of the shared-room situation. 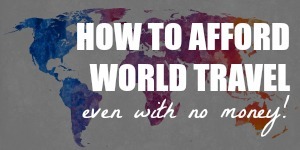 Plus, hostels are expensive if you’re anything other than a solo traveler. For the cost of two beds in a shared bedroom, two people can instead get a hotel room — with an en suite bathroom and everything. So what are these alternatives? 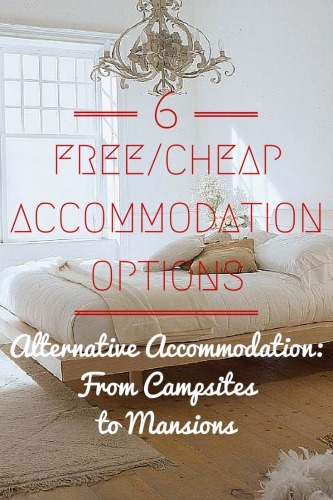 In this post, I’m going to go through alternative accommodation options, along with resources you can use to find them. 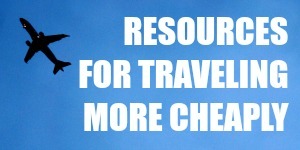 By using these cheap accommodation options, you can easily slash thousands of dollars off your travel expenses. And just because they’re cheaper, it doesn’t necessarily mean they’re unsafe or uncomfortable or lacking in other ways. There are many, many options to suit your needs, although not all of them will work for you. I personally love two of them and don’t really use the rest. 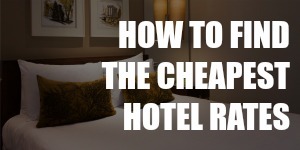 The convenience of hotels, without the hefty price tag. Vacation rentals are properties that the owners rent out directly to you. Without the cost of a professional team of hoteliers for management, these vacation rentals are usually cheaper than hotels of the same quality. There are all kinds of vacation rentals. You can rent something as humble as a sofa in someone’s studio apartment to an entire mansion with a private swimming pool. My go-to resource for vacation rentals is AirBnB. There are other websites out there where you can find vacation rentals, but I find AirBnB to have the biggest database compared to the others. There are simply more properties to choose from. AirBnB is awesome once you get the hang of it, but there may be a bit of a learning curve for first-timers. If you want to learn more about AirBnB, click here to read my crazy-detailed guide. Click here to sign up for AirBnB and get a $25 credit to use toward your first stay. I love it when I have a local friend who lets me crash in a guest bedroom and dispenses travel tips I can’t find on guidebooks. Don’t you? CouchSurfing is built around that concept of staying with a local friend, except you meet this friend through the Internet and you may not have met him or her previously. Despite the name, CouchSurfing doesn’t necessarily require that you sleep on a couch. Depending on the host’s living quarters, you may end up having your own room. While the service is free, you need to put some effort into socializing with your host. CouchSurfing hosts are usually in it both to repay the kindness they’ve received while they were traveling and to meet people from all over the world. Travelers often have great stories to share, after all. Set aside some time to chat with your host and give them a little present if you can afford it. Some traditional home decor items from your home country or a home-cooked meal would be appreciated. There are horror stories out there about CouchSurfing, but you can improve your safety by screening your potential hosts carefully. Choose hosts who are well-connected in the CouchSurfing community and have lots of positive reviews. When a homeowner travels and doesn’t want to leave his house/pets/plants alone, sometimes he finds a house-sitter to look after them. It may sound crazy that someone would trust a stranger on the Internet to look after his home for him, but it really does happen — quite regularly, in fact. If you’re a traveler who happens to be visiting that homeowner’s area, house-sitting means you would get free accommodation in exchange for living in that home and doing regular maintenance work. With most house-sitting gigs, you’re only required to keep the house clean and water the plants. Often, the homeowner would have a pet that you have to feed and clean after. With some rural homes, you may also have to take care of farm animals. House-sitting is free, but you have to pay to contact the homeowners through house-sitting websites. Some sites to check out: HouseCarers; Trusted Housesitters; Mind My House. Deal alert: 30% off all membership plans at Trusted Housesitters with the code “BLACKFRIDAY30”. Until Nov 30 only! To find out how to choose the right website to join, click here. If you’re a homeowner who’s about to travel, you can swap homes with another homeowner and get free accommodation at your destination. Like house-sitting, home exchange means leaving your home in the care of an Internet stranger. There a bonus, though: you get to stay for free in that stranger’s home. Home exchange takes a bit of planning because you have to find the right homeowner who’s about to travel to your city at about the same time you’ll be traveling to his city. You can find home exchange partners on these websites: Home for Exchange; Intervac; Homelink. Like house-sitting, the home exchange itself is free; you only have to pay for your membership to a home exchange website. To read a more complete introduction to home exchange, click here. With work exchange, the workload varies depending on your agreement with the host, but you most likely wouldn’t be expected to work 40-hour weeks. Still, work exchange is more suited for long trips because you can only explore the area when you’re not required to work. Here are some websites where you can find work exchange arrangements: WWOOF, HelpX, Workaway. Click here to read my interview with a traveler who spent more than 1 year traveling across Latin America, using work exchange arrangements to pay for her room and board the entire time. If you’re an outdoorsy person who enjoys sleeping in the great outdoors, camping is a cheap way to get around. I once met a guy in a Greyhound bus who told me his brother was making the same trip he was, only on his bicycle. The brother planned to camp in the woods or on people’s backyards at night. If this sounds like your thing but you need more pre-planning, you can use Camp in my Garden to book campsites. Otherwise, all you need are places to freshen up, which you can find at Warmshowers.org. I have accommodation available in London for two months in exchange for admin / security work? Hi Janie, you’ll probably have better luck posting your gig on WorkAway or HelpX (linked above — #5. Work Exchange). All the best!